With over a decade of experience in the plumbing industry, Dickson Plumbing and Gas fitting provides a great range of plumbing services at an affordable rate in and around the Sunshine Coast area. We take a lot of pride in the fact that we run a local, family operated business, which ultimately helps us to interact with our clients on a personal yet professional level. This quality sets us apart from other operators, because we prefer to build relationships in which clients can find honesty, reliability and work ethic. In other words, we strive to charge low and competitive rates while keeping the reputation of our well established business intact. Our experience allows us to cover every aspect of plumbing. Whether it’s a private call-out or a large commercial contract, no job is too big or too small. We have worked for schools, real estate businesses, builders, Strata management, commercial clients and the residents in the Sunshine Coast area, so we know what each situation requires. We are also proud to be solar and backflow prevention endorsed so you can have peace of mind that our services are of the highest quality. Our entire team of plumbers are fully qualified, trained and experienced individuals that would be more than happy to help you with any and all of your plumbing and gas fitting requirements. 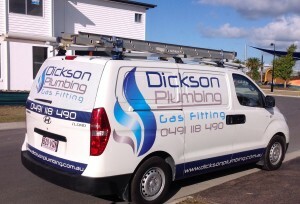 Given our reputation for being the best plumbers, gas fitters and drainers, we don’t take our responsibility lightly. Honesty, reliability, friendliness and dedication are just some of the principles that brought this business to life and we intend to keep it that way. The fact that we care about our clients helped to build our reputation and it’s an element we will never take for granted. For starters, clients can expect to hear a friendly voice over the phone or see a smiley face when they walk through the doors. We will share our knowledge and experience by giving professional and honest advice in addition to working according to your needs. We always turn up on time and leave your place clean and tidy. It doesn’t matter when you need us, because we are available 24/7 simply because you deserve peace of mind. 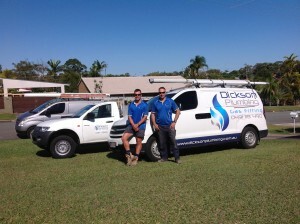 Call us today on 0491 118 490 and make use of a plumbing service that gets the job done the way you want it.